I'm writing with you with some exciting updates from the global movement to keep fossil fuels in the ground. 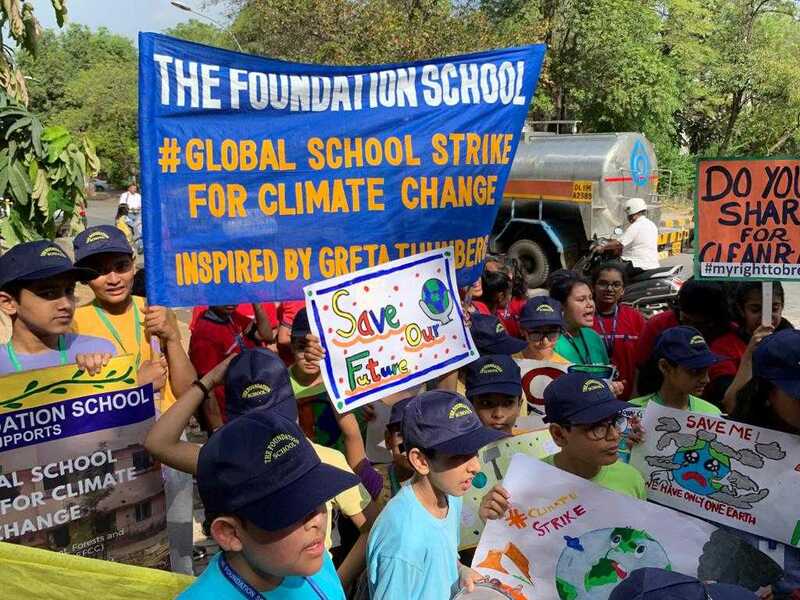 You probably saw some bits and pieces of the massive, March 15 global school strike for the climate. But did you know a wave of strikes has just burst forth again today – with stunning action in the UK, India, and Brazil? There's so much happening in this movement for a world free from fossil fuels every single day. All over, local campaigns are pushing ahead to accelerate a just, renewable energy economy that works for everyone. But it's hard to keep up with all the action. That's why we're... sending you this global movement newsletter, Fossil Free News. It's got stories that give us hope and inspire us from the climate movement around the world. And there's more good news coming. Next week, get ready to hear about a bold new campaign for climate justice from our 350.org team in Canada. If you sign up, you'll get it delivered to your inbox every 2 weeks. So check out the latest issue below, and if you like what you see, sign up for regular updates. PS - 350 Canada launched a brand new Instagram page last week. If you want to learn more about the beautiful and vibrant work that they are doing in support of ambitious climate solutions, follow them on this new platform! 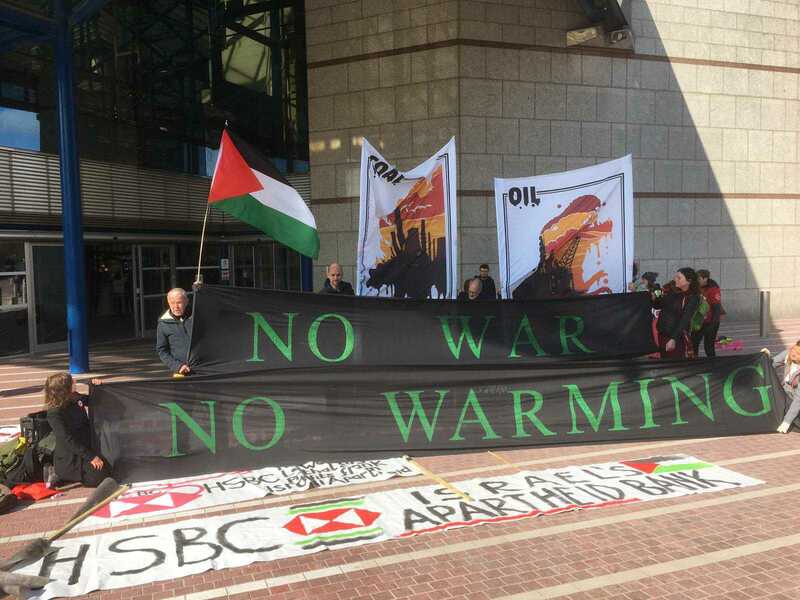 Hours ago, a coalition of activists showed up at the global bank HSBC's annual general meeting in the UK. They’re building on a long standing campaign to push HSBC to commit to stop investing in all coal and arms. HSBC has committed to not funding coal in most places, but are still making exceptions in Vietnam, Bangladesh and Indonesia. These countries have vast renewable energy potential that HSBC is replacing with serious pollution problems. Here’s a powerful statement from Nguyen Thi Hang about how HSBC is greening their dirty money in Asia. And don't miss this ace parody video of an HSBC advertisement from January calling out the double standard. In contrast, South Africa’s Nedbank confirmed last week that they're making a clean break from financing coal-fired power plants. The move comes after years of campaigning from local groups, and makes it the first such commitment for an African bank. Nedbank is one of the largest financial services providers in Africa – some are calling it a "momentous" signal to the industry. School strikers in New Delhi today. Photo: Geeta Bhargava. 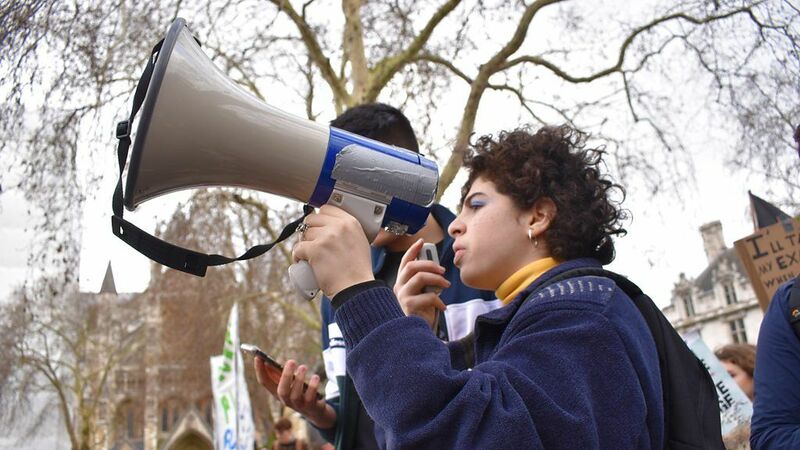 At the same time in India, Brazil, the UK and other countries, school strikes rolled on in a big way today. Responding to the strikers' call to action, parents are finding more and more ways to support. Thousands of them issued an open letter published in the Guardian last week. 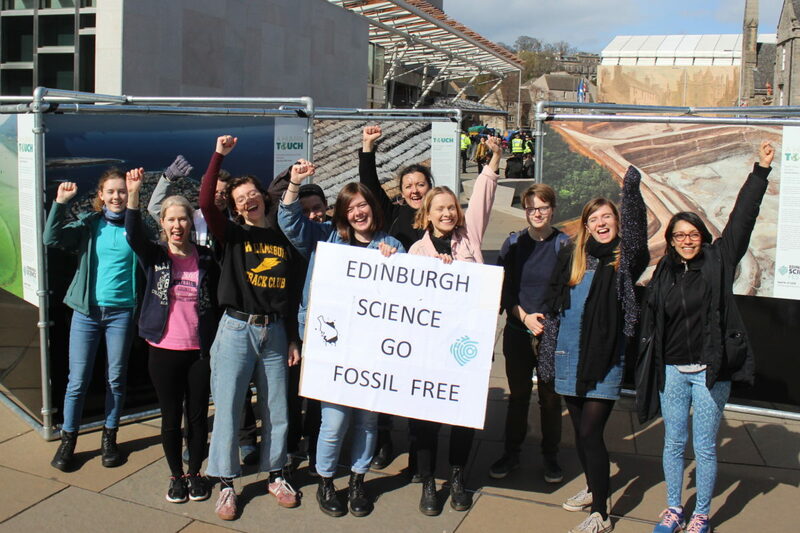 Over in Scotland, the Edinburgh Science Festival is underway – and just last week after a year-long campaign, they banned fossil fuel sponsorship. We've seen other cultural institutions break ties with the fossil fuel industry in the wake of people-powered campaigns; but this set a strong precedent as the rationale was explicitly due to climate change. The group's response is here. And some promising signs on the renewables front: India reported that 74% of its new power capacity added in 2018 was renewable, and Ukraine commissioned 861.1MW in the first quarter of 2019. That's 5.4x more than the same period last year - though their total share is still very low. Norway's sovereign wealth fund – the same one that dumped investments in mid-size oil and gas exploration firms a few weeks ago – is about to put billions into solar and wind. And there's been some public backlash brewing against the International Energy Agency, which models global energy demand into the future, for being too conservative and biased in favor of the fossil fuel industry. "It was just me thinking, 'This is really scary, what if no one follows me?' But also thinking, 'I have to do this.'" This new video from our friends at The Leap does an awesome job of connecting the dots on why the climate movement must fight for migrant justice to win the world we want. It's all connected. Watch and share. That's it for this edition of Fossil Free News. We'll be back in two weeks with more stories from around the world. If you enjoyed this newsletter, could you please take one minute to forward it to a friend? You canr0 at any time.